Remember when I cut that round table top? 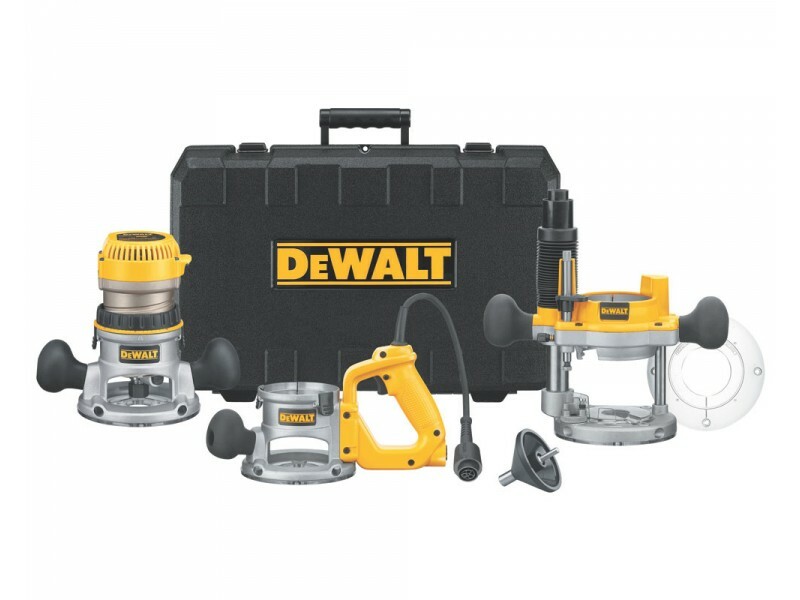 I mentioned that I was considering a new router because of ‘dust issues’, when I should have really come clean and admit that my DeWalt 618 router has bitten the dust. Seriously. How do I come to this conclusion? 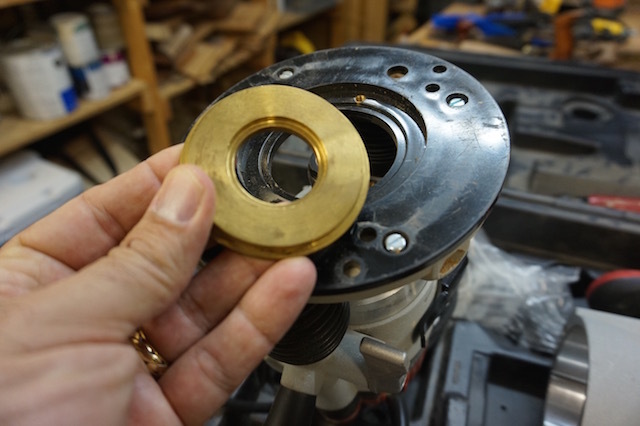 Well, as I was routing, I realized that when I turned the motor off, the router bit came to a stop while the motor was winding down. Not one to take chances, I’m inclined to believe that if it isn’t broken now, it’s probably just a little bit down the road. I am happy that I got my ten years out of this sucker, but I think I may have messed things up too much to bring it back from the dead. But, before I admit that I have only my table based router and trim router to work with, I remembered that I had picked up this Freud FT1702 router about ten years ago at Lowe’s. They were on clearance for $100 at the time – a steal over the $250 they went for normally – and it has seen some sporadic duty over the past few years. 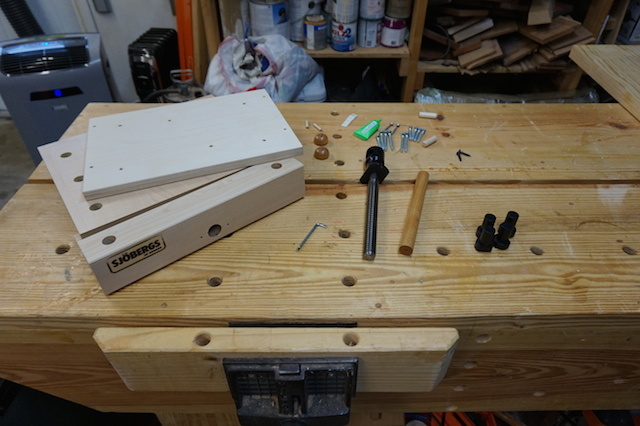 For instance, when I needed to switch between bits for my Keller dovetail jig, I would set this one up along with the DeWalt, so I wouldn’t have to switch bits mid-project. While the router is a pretty sweet operator, it does have some serious quirks that would keep it from being my primary router for long. First, it is unable to accept standard Porter-Cable type subbases. They built this model with some funky geometry under the proprietary subbase, which prevents the use of any aftermarket models. Normally, not a huge deal, however, if you want to use a guide bushing, you had two options with this sucker. 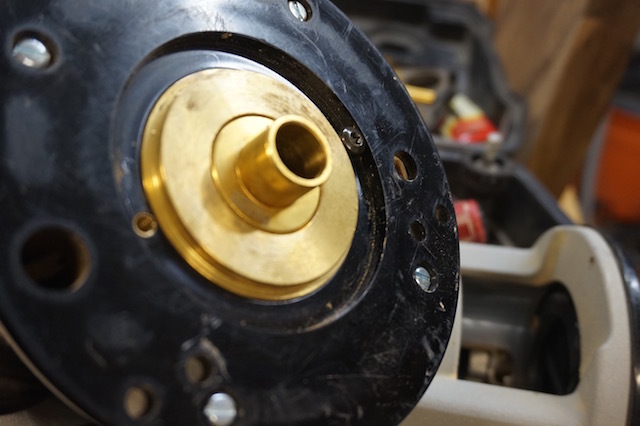 Either use Freud’s proprietary guide bushing setup, or shell out for the heavy brass adaptor which is held in with a pair of screws. Needless to say, these screws are tiny, and are pretty much guaranteed to drop to the shop floor while you are removing the guide. As you can see, I am already missing one of them – time to run to the home improvement center to pick up a replacement. They are also threaded in metric dimensions, which means I will have to cross my fingers and hope that they have the right size. Another problem with this model is that it has guide posts which are set at a non-standard width and height from the subbase, meaning that you have to again have to get your hands on a proprietary Freud edge guide. Again, they are no longer manufactured for this out of production model. So, while I can make do with this router for a while, I will certainly be looking for a new one in the not too distant future. With my birthday and the holidays coming up in December, I hope I won’t have long to wait. Yes, I was born in the late 1960s, so that means I came of age in the 1980s. However, a quick look at my iPod, and you’ll see plenty of music from the 1970s on it. There was just something about the real horns, the funky bass and the awesome hair of the era that made that music something to listen to. 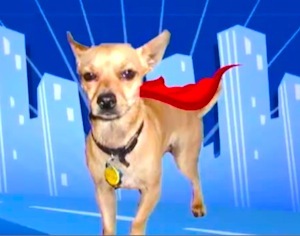 And, yes, you will find this gem on my iPod as well. Billy Preston’s 1973 hit Will it Go Round in Circles? Man, just check out the hair. And the horns. 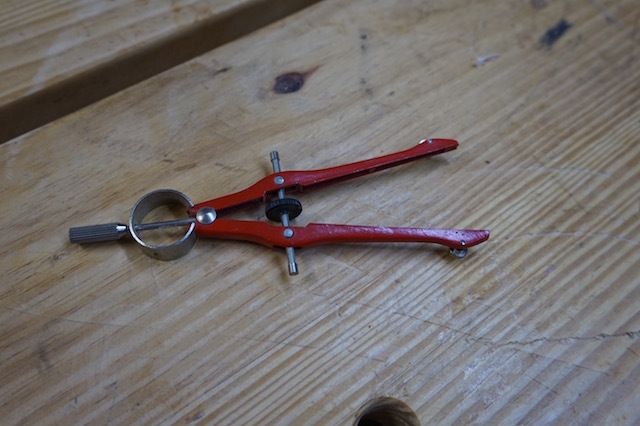 Now, what does this have to do with woodworking? Good question. Since I’m going to build a round coffee table for the front room in my house, I am going to obviously have to cut out a circular top to make it happen. 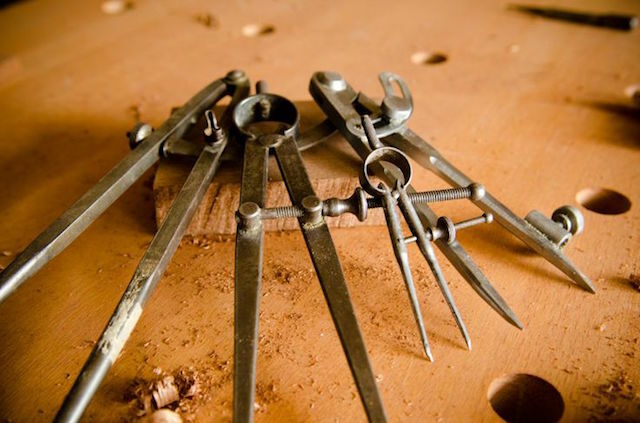 It seems like a no-brainer, but you have to remember that most woodworking tools are designed to cut nice straight lines. So, what can I do? 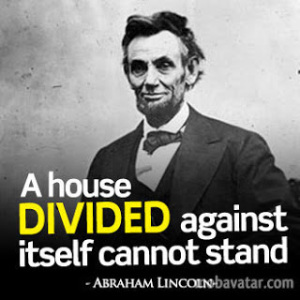 Well, a jigsaw would be a good choice, and if you draw your circle well and cut closely to the mark, you can do a decent job of getting very close to a circle. For me, though, I don’t think I would go right to the line with the tool. While I can cut close, I would probably sweeten the cut with a sander. 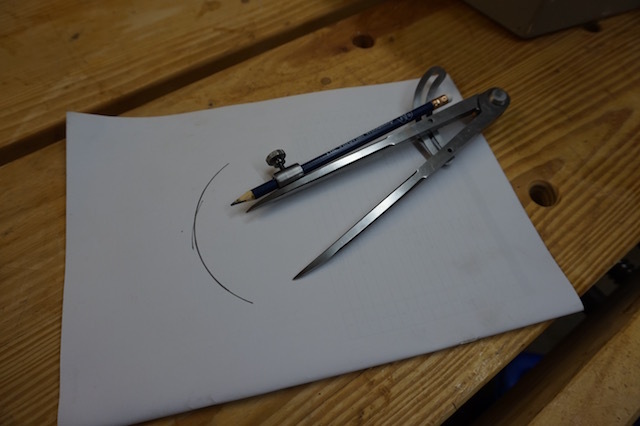 No, if I wanted to cut a perfect circle right off the tool, I would probably want to find a centerpoint on the bottom of the glued up piece, then drill a hole and use some type of a jig that would cut the fixed radius on the piece. This way, I would be able to ensure that I could get the right size from the get go. 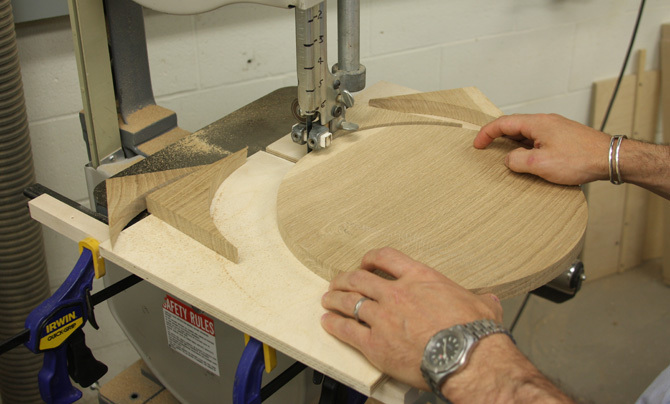 As far as I can tell, for a circle with a diameter of 36 inches, the best options are on the band saw or with a router. 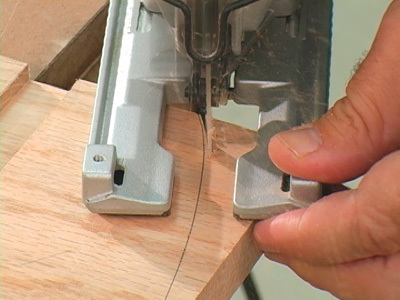 The band saw route uses some type of jig (like this one from Fine Woodworking) to set a fixed pivot point. 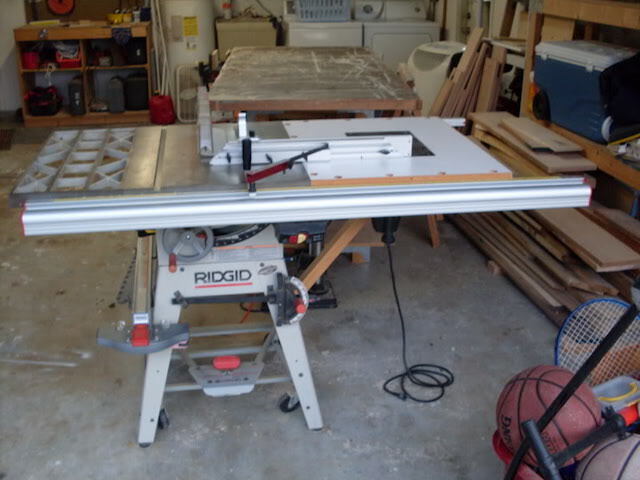 Form there, you feed the board into the band saw blade, and the saw does the work. No fuss, no muss. While it’s a great system, I’m not sure this one is for me. I never do well balancing boards on jigs and moving them. 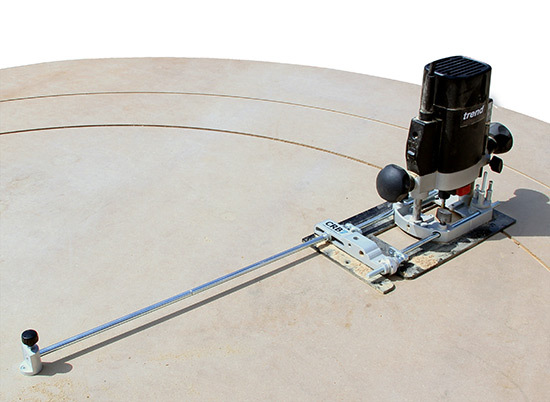 For me, the easier option would be to build or buy a circle cutting jig for my router. With this, you drill the center point just as you would for the band saw jig, only you cut the top face down using the router bit to do the cutting in a few passes. 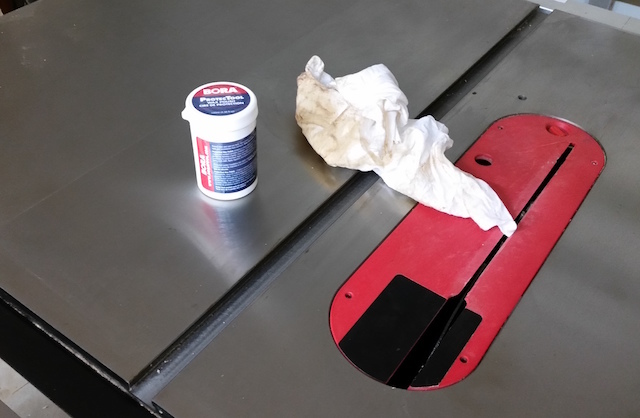 With everything secured to your workbench on a sacrificial board, it should be a piece of cake to knock it out. It’s not the size of the shop …. There’s an old expression my dad used to use just about whenever we felt down or put upon growing up. Maybe our Little League team was down by two runs going into the ninth inning. Or, maybe it was a test we had to take that made up half of our grades. Whatever. I’m sure you are aware that the meaning behind this bit of pithy advice is that it doesn’t matter how big you are, it’s what’s inside that makes all the difference. Well, I had a few entries, and all of them were tiny. Small. Diminutive. 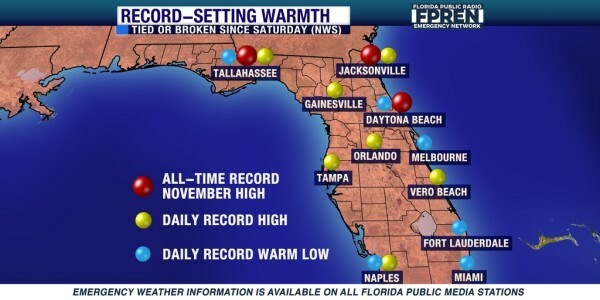 Without any further ado, here’s what we got. This is the shop of my good friend Paul Carroll. 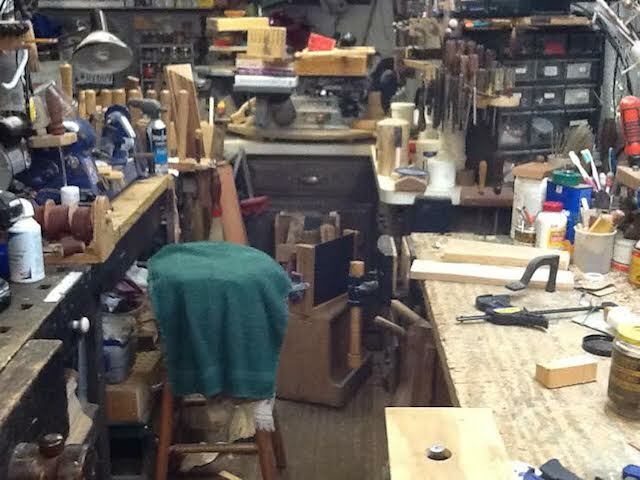 He lives a few miles from my house, and, yes, the shop he occupies fits neatly into a 60 square foot area. 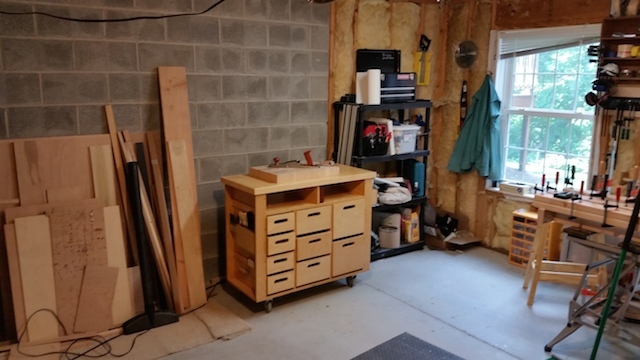 Not only does his shop serve as storage for the portable table saw he has to wheel out into the garage or driveway when the weather cooperates, it also serves as his home’s laundry room. It’s very neatly laid out, and you can see that just about every ‘permanent’ power tool has its own dust collection hookup. Believe me, every possible nook and cranny serves as storage, and I’d have to say this is pretty darned impressive. This tiny shop belongs to the appropriately named James Little, and as you can see, it’s one of those shops that just looks bursting at the seams with stuff. 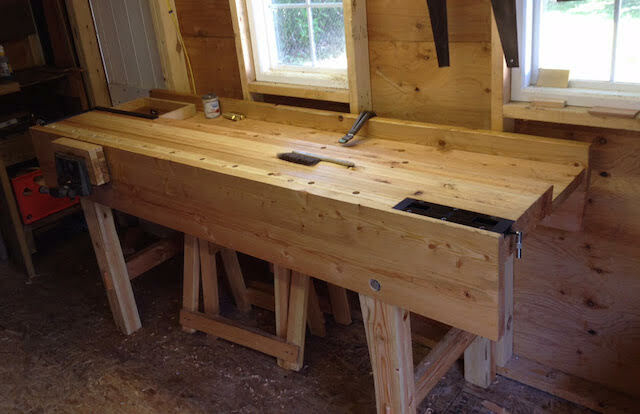 But, you can see a few different work benches, a whole lot of storage and organization out the ears. Pretty sweet looking shop. This spacious abode is the hide out of Warren Valente. 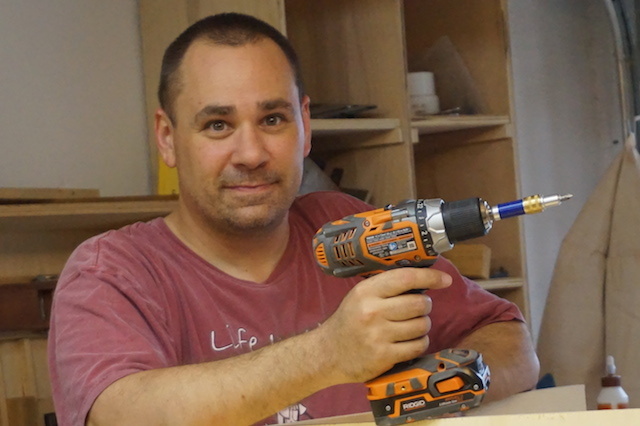 Shoehorned into his 10 x 15 foot shop, he manages to build some big pieces. 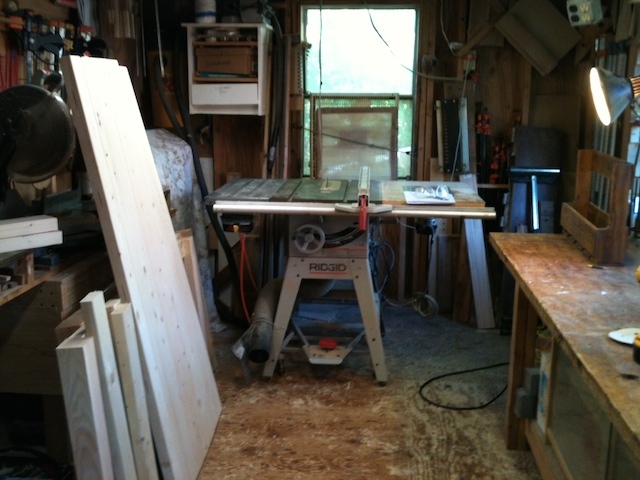 Check out the harvest table and benches he has working in the shop in this shot. 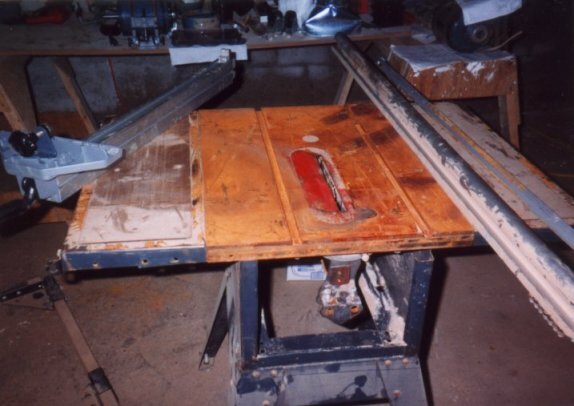 Of course, if he needs any extra space for outfeed on his table saw, he can just push the piece through the (hopefully open) window! Next up is the small shop of Justin Rossetti. Man, talk about small. This guy has to move ALL of his stuff outdoors to get anything done at all. That’s right – there is no real indoor shop space. Basically, the only space he has to work is outdoors. The storage area is right off his kitchen, those, so his wife usually doesn’t mind because she gets to keep an eye on him and see what he’s up to. 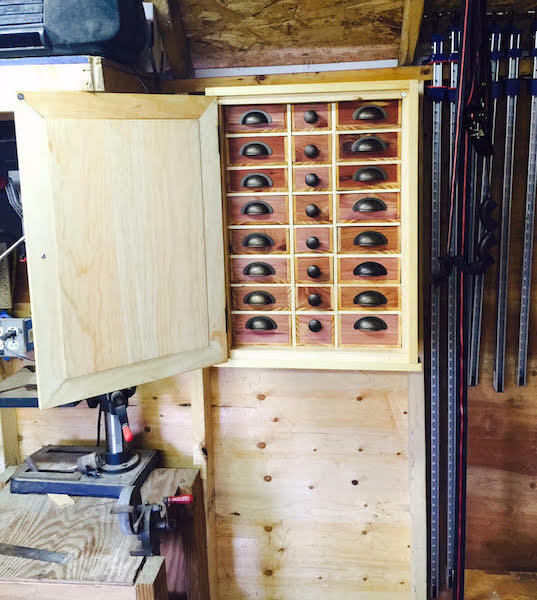 Eric Cole from Pennsylvania has a very neat looking shop setup in his condo. 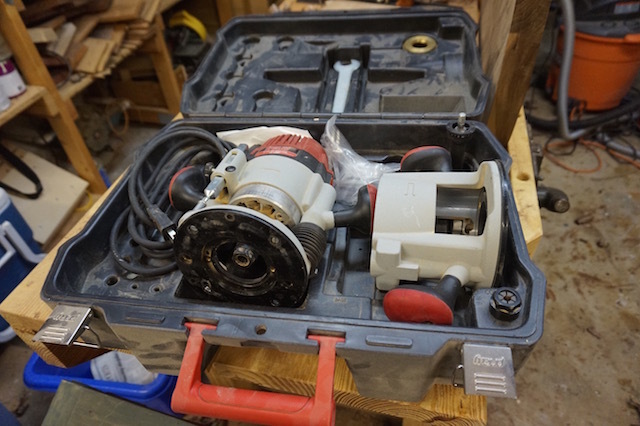 While it measures a tiny 8 x 12, he has it packed with a lot of mobile bases on his tools, so he can get things exactly as he needs them for whatever operation he has planned. 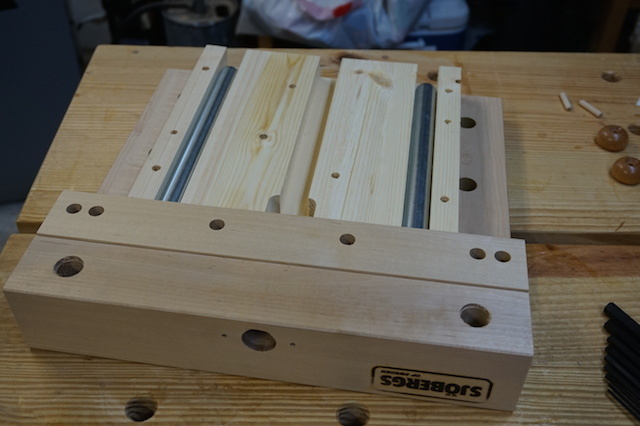 This he got from Wood Magazine, and his next project is a knock-down workbench by Chris Schwarz so he can get into more hand tool work. The winner, however, has to be the cozy shop of George Micklus of Connecticut. When he’s not aboard one of our nation’s submarines (thank you for your service, George), he’s working out of a cozy 10 x 14 shed near his home. 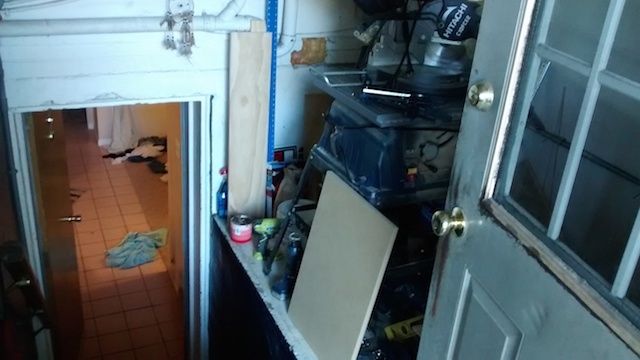 He actually downsized a bit from where he started (in his garage), because as his family grew, he was voluntold to move out to convert the space into a new master bedroom. 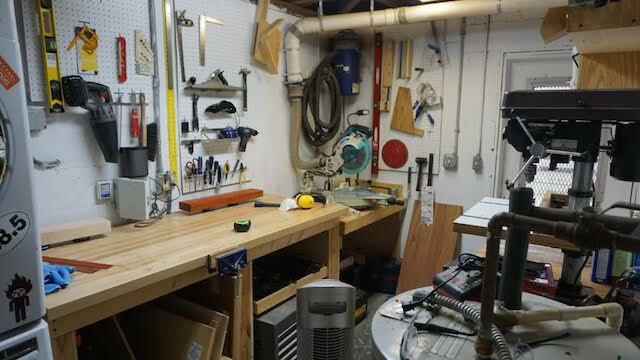 His time on a submarine has inspired his shop layout, which includes a sweet looking workbench, an Anarchist’s Tool Chest and a few other projects designed to maximize storage and working area. Iggy would like to thank all of you who submitted your shop entries for this contest. It’s amazing to see just how much goes into planning a workshop in a very small space. One thing is for certain, however, from here on out. I will never complain about having to work in a two-car garage ever again. I promise! I never owned a G.I. Joe action figure. Seriously. We had the Adventure People, but our friends who lived down the street, they had the G.I. Joe action figure. Notice I said action figure. Not doll. That was out of the question. We’re talking ACTION FIGURE here, people! Now that I got that out of the way, our friend who lived down the street had their G.I. 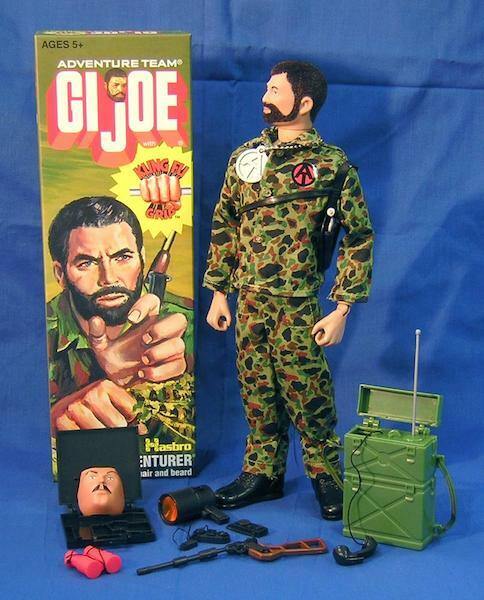 Joe action figures, and those action figures were small at only 12 inches tall, but boy, did they ever have their mojo. They wore camouflage. They had weapons. They had fuzzy beards. And, most importantly, they had Kung Fu Grip. Now that I have my head out of the 1970s, I have turned my attention to other toys. In my shop. That I build with. I love my shop. 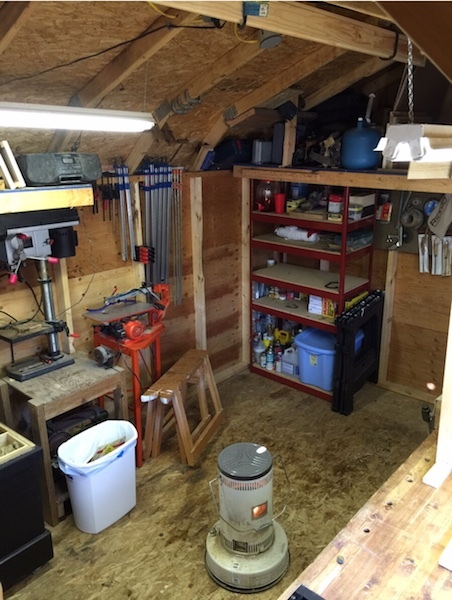 It’s got plenty of size and space for a workbench, a table saw, a band saw, tool storage… a ton of stuff. But, I do know some folks who work in much smaller spaces like a spare bedroom in an apartment or on the kitchen counter. What about them? You know what they need? The equivalent of a G. I. Joe doll action figure that can be small enough to tuck away but strong enough to hold their work. 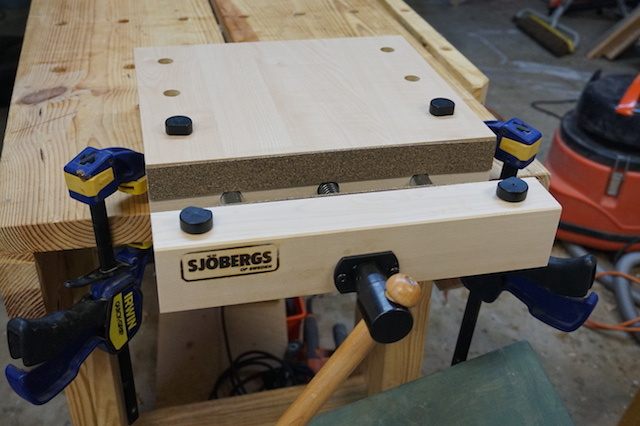 I think the folks over at the Sjoberg’s Workbench company may have found the answer. 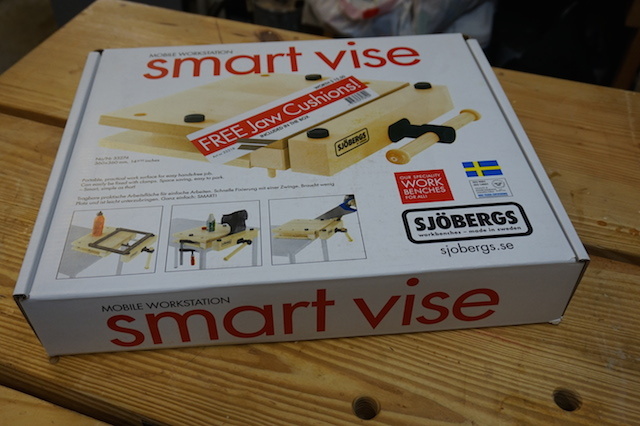 This is the Smart Vise, and it makes quite a bit of sense for all shops, but especially small ones. As with that other Swedish company that makes furniture for the house instead of the shop, some assembly is required. 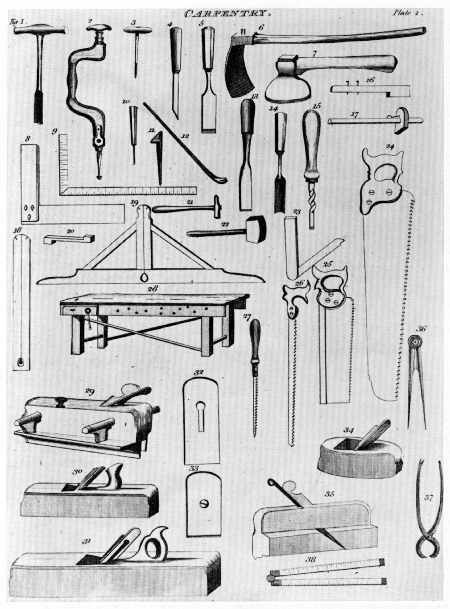 Mostly fasteners, the vise body, the screw mechanism and the dogs you will use later to help hold work. To put this sucker together, you flip it upside down and attach the lower jaw to the upper body section with glue and some fasteners. 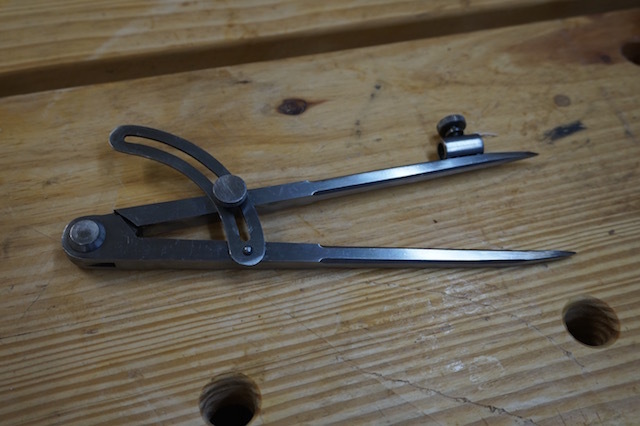 It’s very simple, and in about five minutes, it was all buttoned up, ready for some serious steel. 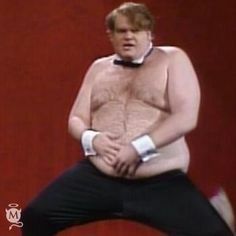 This is where the Kung Fu Grip comes in to play. 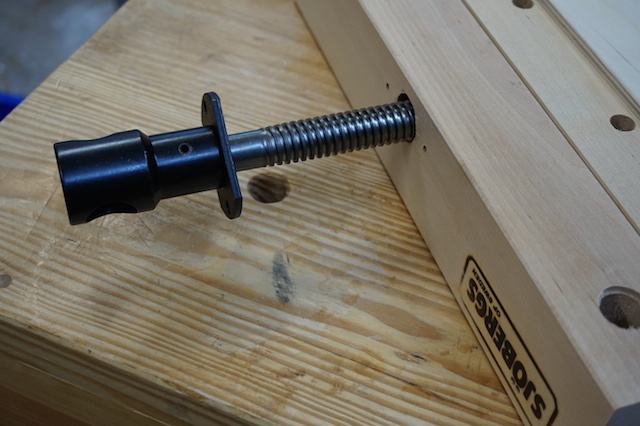 This heavy screw goes into the middle hole, where it engages the threads inside. Simply screw it all the way home, set the garter into the front block with a pair of screws and put on the handle. Easy peasey lemon squeezie. 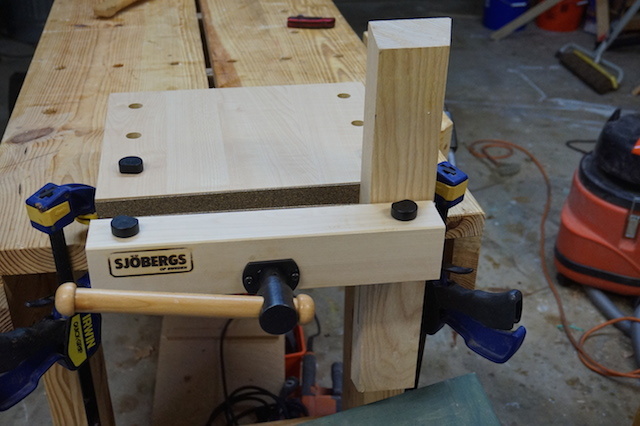 Flipped up onto its feet, the vise can be secured to a table (or workbench) with a few squeeze clamps or a few screws. What can you do with it? How about cut a few dovetails? Tenons? Maybe a little mortising? And, it can be done in a very small area. Now, here comes the fun part. 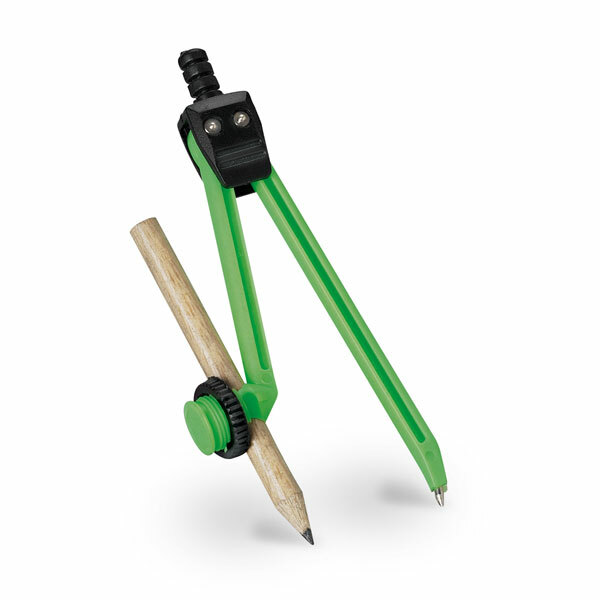 The folks at Bora Tools wanted me to give away one of their new Smart Vises to one of my readers. So, here’s how it’s gonna work. I want you to shoot me an e-mail showing me just how small your shop working area is. I will take a look and have my Trained Shop Monkey select the smallest looking shop from the entries as our winner. Be sure to send them to Iggy@tomsworkbench.com. You have until Saturday, June 13 to get them in, so don’t delay! Bread lands buttered side down. If everything is going well, you have obviously overlooked something. And, when you have your sweet compact body camera in your shop while trying to take a picture for an article on your blog, it will invariably find some way to fall to the ground and fall with a sickening crack. That’s exactly what happened when I was shooting photos for today’s post (which will appear next week, trust me). I had everything I needed – the board, the tools, the idea, the right lighting and – of course – the camera. And, the second I set that camera down on my workbench and turned my attention to moving the board to get a better shot, I could hear the impact. Now, the camera looked OK. Seriously. I held it in my hands, flipped it on and hoped for the best. 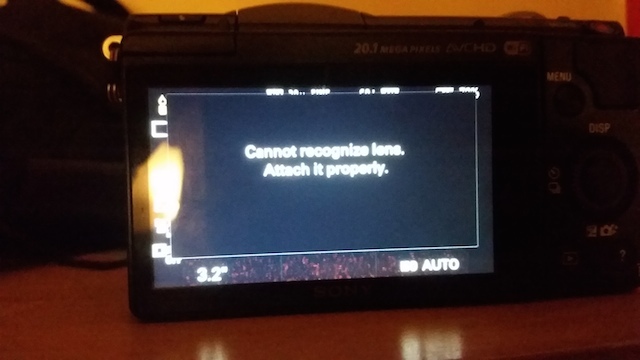 Dangit. 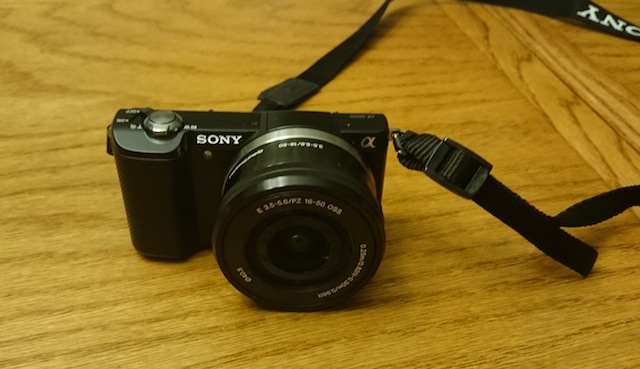 The camera won’t pair with the lens, which means something went kerfluey when it went kerplunk. 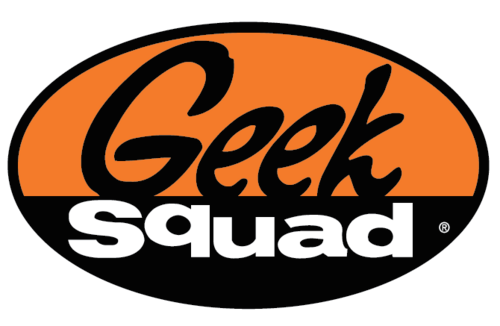 Fortunately, at the time I bought the camera, I had the foresight to buy the extended warranty from the folks at Geek Squad. Whew. The sales guy told me that it covered just about anything I could do to the camera, and after a few minutes of chatting with the agent online, I discovered that yes, they do stand by the guarantee. 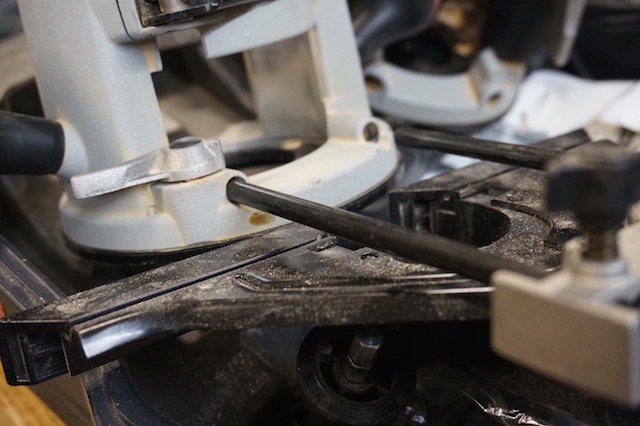 This got me thinking… what about warranties on tools? 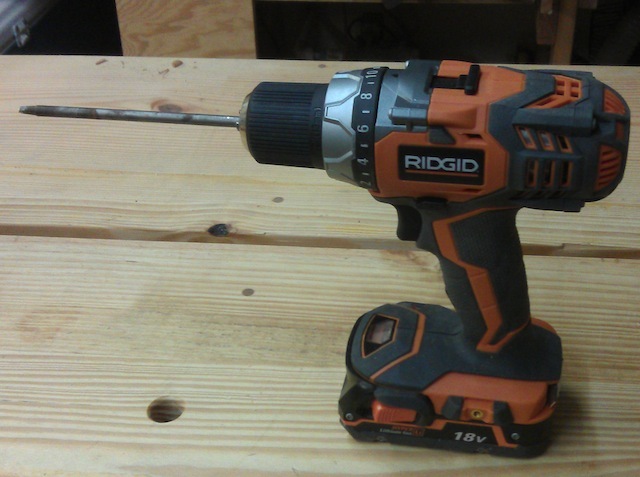 I know that I often buy Ridgid tools because they have lifetime warranties, and yes, I have used the warranty to get my corded drill repaired. Should I be looking to get the extended warranties on bigger tools? I don’t know. Maybe tools are built a little tougher than electronics.